Armani/Silos, Emotions of the Athletic Body, exhibition view. Photo by Alberto Zanetti. Say "hi" to the latest edition of The Yatzer Round-up, our irregular column featuring creative projects and products worth sharing. Do you want to be part of the Round-Up? Then submit your project following our submission guidelines. 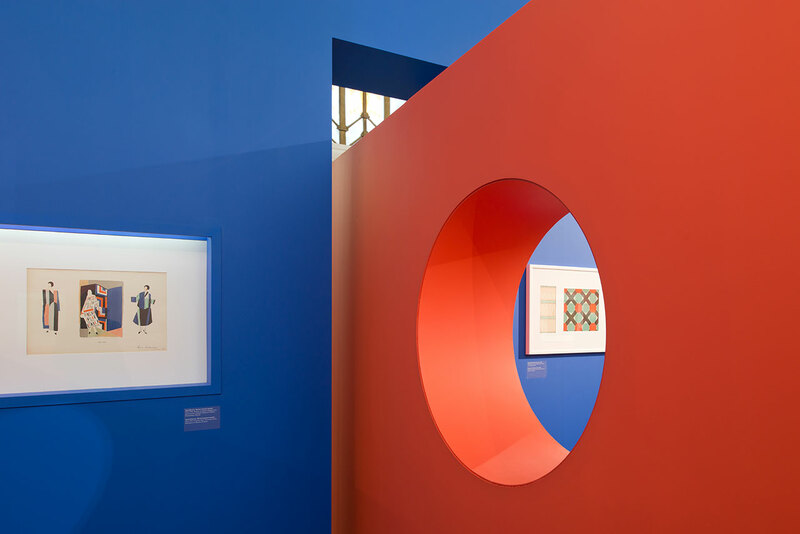 Moscow-based Form Bureau designed the exhibition layout for History of Fashion: From Avant-Garde to Gost which took place inside the Grain Pavilion at VDNKh, a vast Soviet-era trade fair in Moscow, Russia. 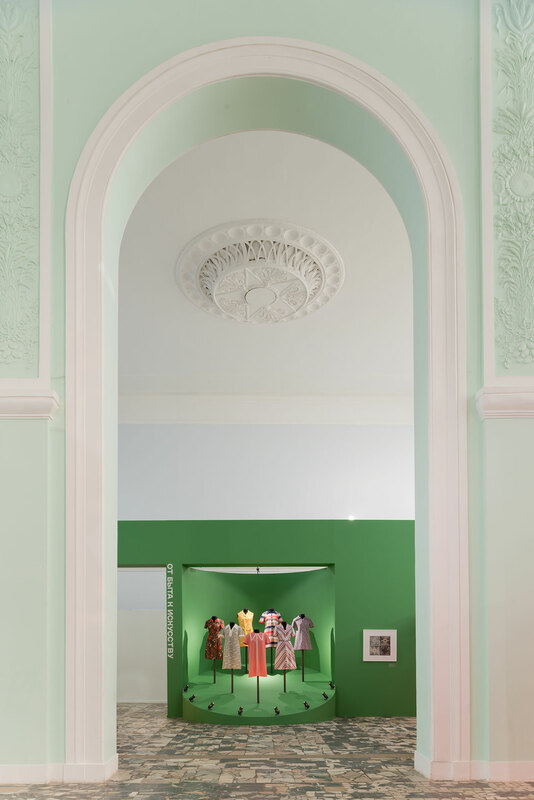 The exhibition, which showcased four decades of textile and fashion design in the Soviet Union (1920-1960) with original sketches, samples of fabrics, photographs, posters, costumes and fashion magazines, also saw a strong architectural approach that came into dialogue with the historical building hosting the show. 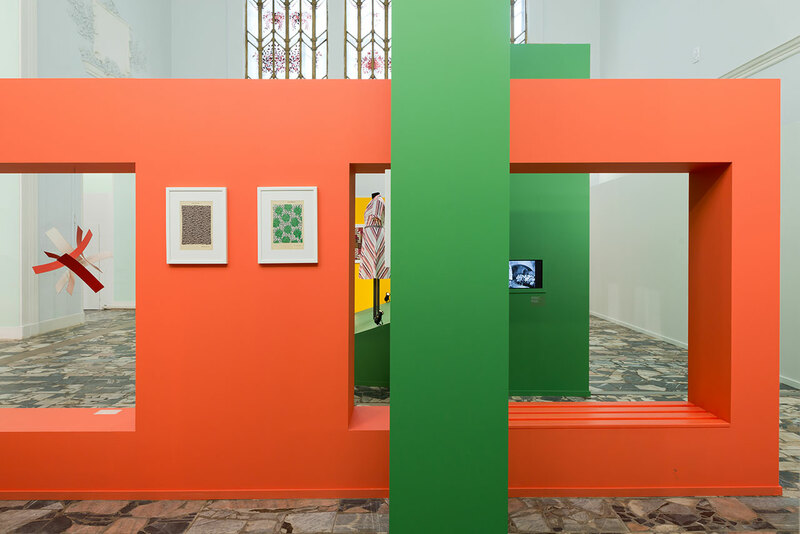 History of fashion: from avant-garde to GOST, exhibition view. Photo by Ilya Ivanov. 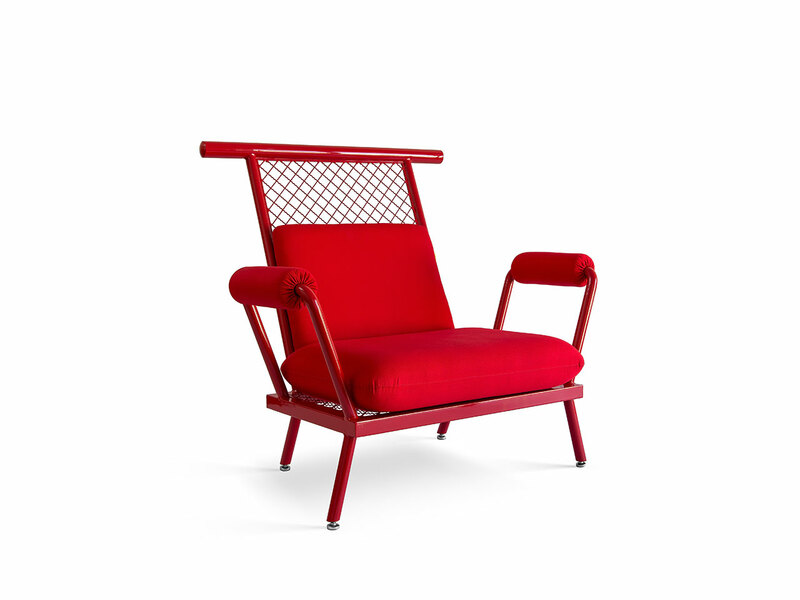 Referencing industrial structures and materials, the PK6 and PK7 armchair and sofa by Brazilian designer Paulo Kobylka exposes the metal frame of the furniture and allows it to dictate its form. The frames are then finished with car paint for extra resistance and durability. 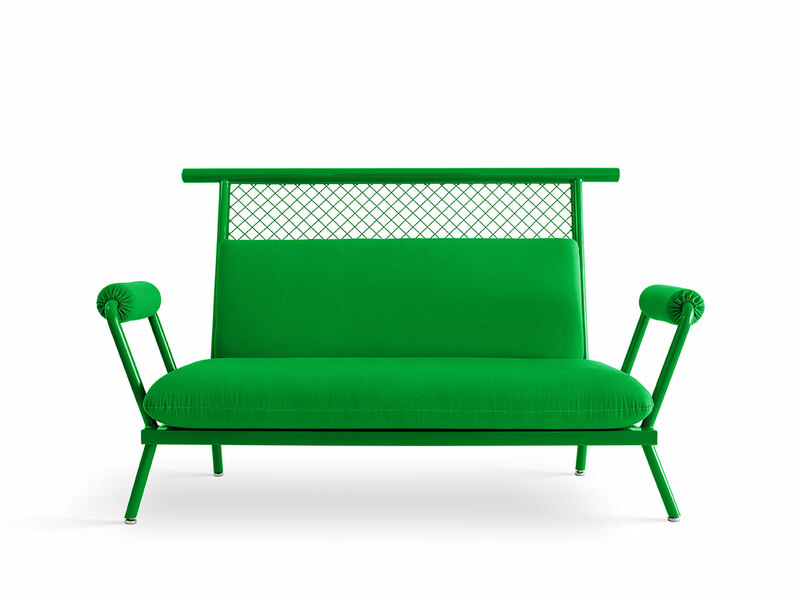 Paulo Kobylka, Sofá Verde. Photo by Renan Klippel. Paulo Kobylka, Poltrona Vermelha. Photo by Renan Klippel. Arnaud Lapierre design studio, SHIELD, 2016. Photo by AL-DS via Aybar Gallery Miami. 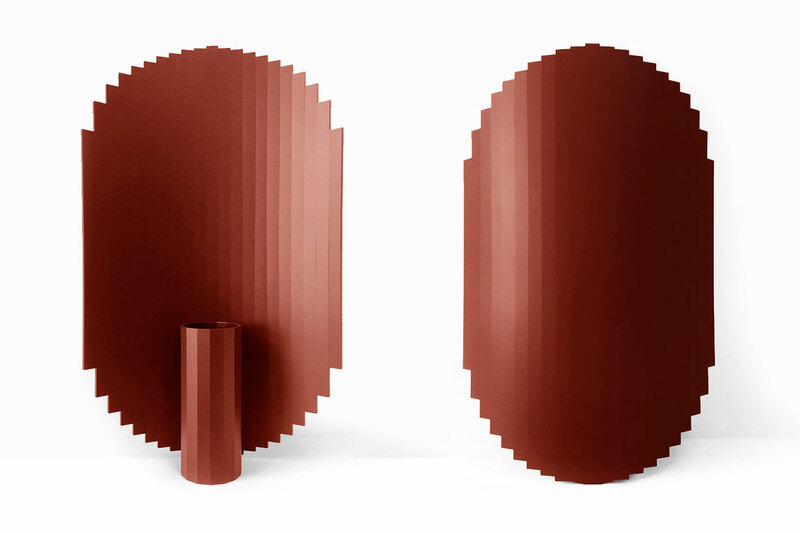 Both a mysterious sculpture and a vase, this pixelated Corian vase by award-winning designer Arnaud Lapierre adds a significant dose of drama to even the humblest of floral arrangements. Exclusively available through Aybar Gallery Miami, SHIELD comes in English Green, White, Red Vermillion and Blue Petroleum, as well as in Light Copper and Champagne Gold upon request. 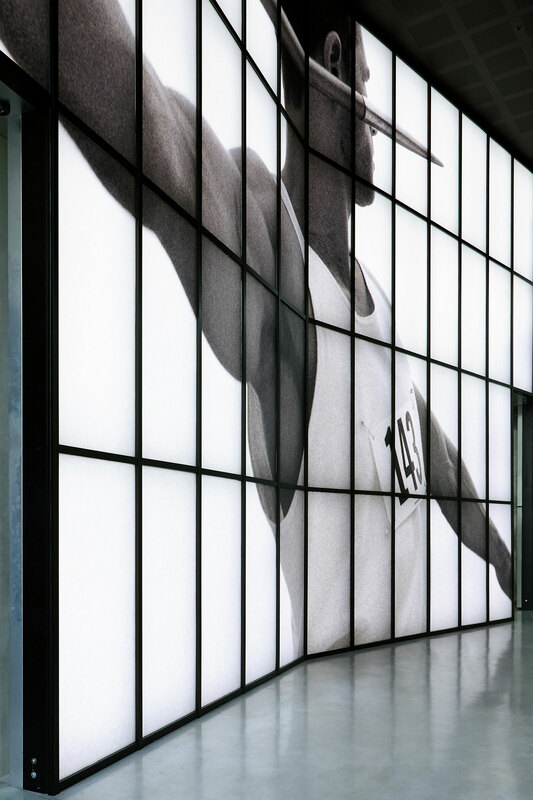 To celebrate 40 years of his brand’s achievements in the fashion industry, Giorgio Armani opened a 4,500-square-meter exhibition space on via Bergognone 40 in Milan, Italy. This private museum is called Armani/Silos and houses a fashion exhibition with items from the Armani archive as well as temporary thematic exhibitions. 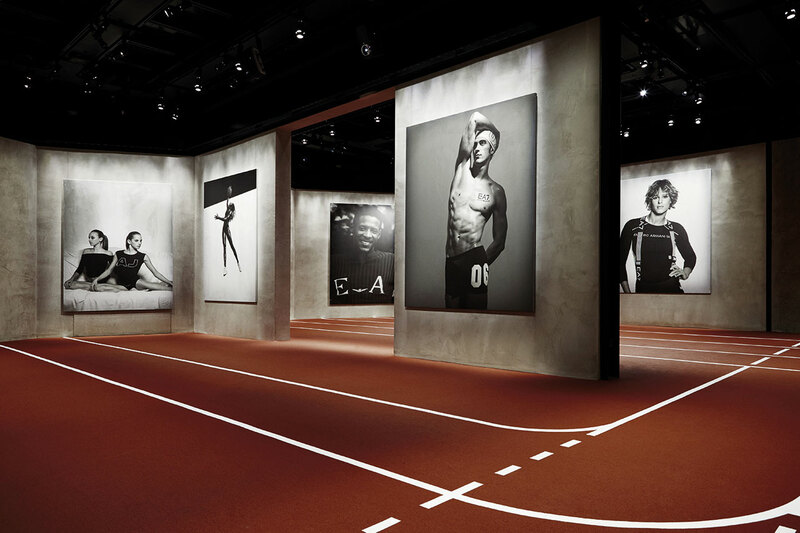 The first of the latter is a photography exhibition curated by Giorgio Armani himself which explores the form and symbolism of the athlete’s body. 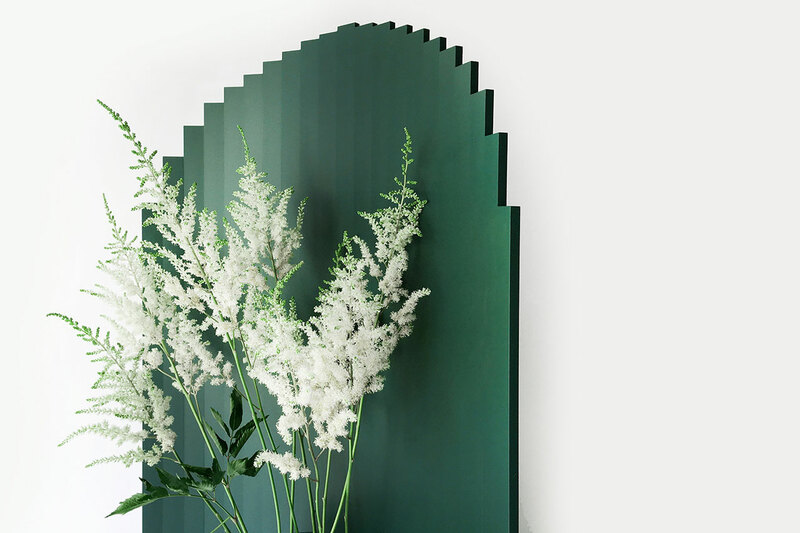 For its second collection, Larose Guyon presents a series of seven new designs that can be customised and arranged for any space. 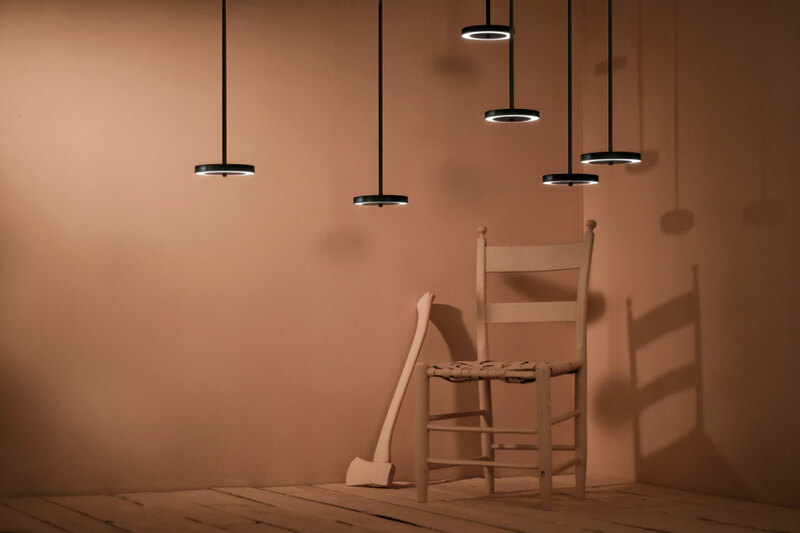 Named after a French-Canadian coureur of the Belle Epoque, the collection is a no-frills approach to interior lighting, where everything is simple and stripped down to its essence. 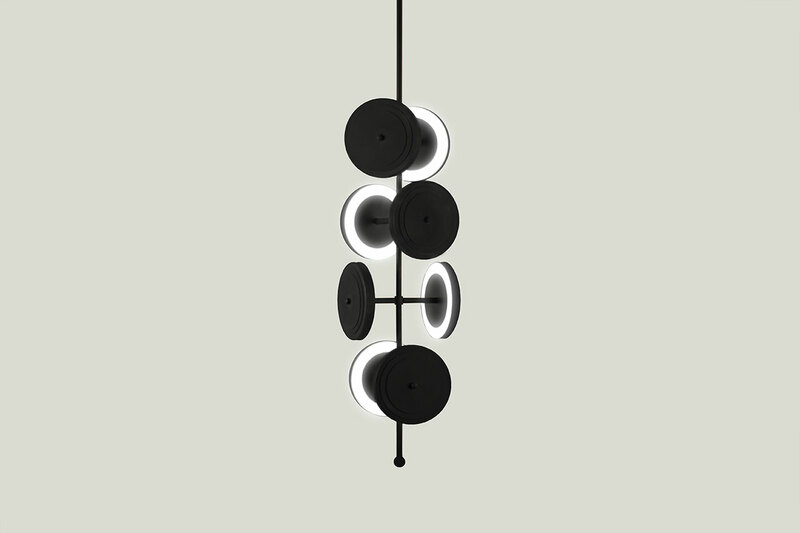 Based in Verchères, on the outskirts of Montreal, Larose Guyon is the lighting design studio of Audrée L. Larose and Félix Guyon. Larose Guyon, Le Royer - Chandelier. Photo by Larose Guyon. Larose Guyon, Le Royer - Large 01. Photo by Larose Guyon. Larose Guyon, Le Royer - Simple. Photo by Larose Guyon. 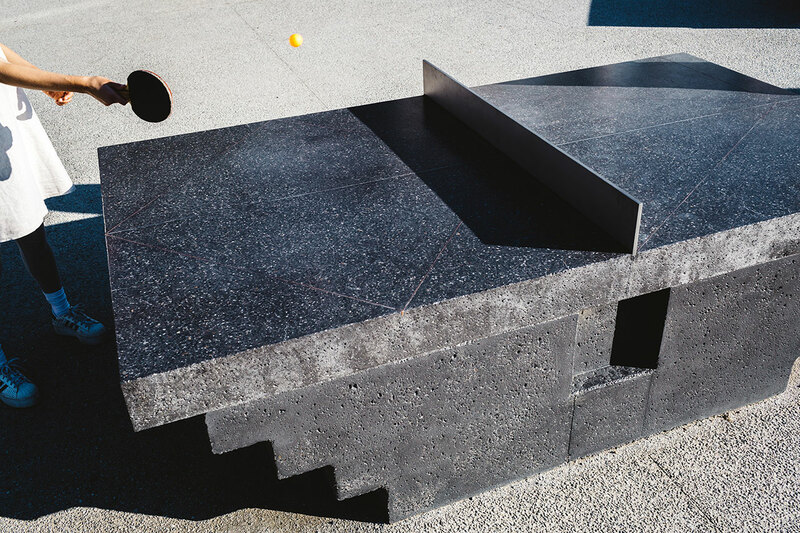 Laith McGregor / Murray Barker, MONOLITHS, photo by Christian Capurro. 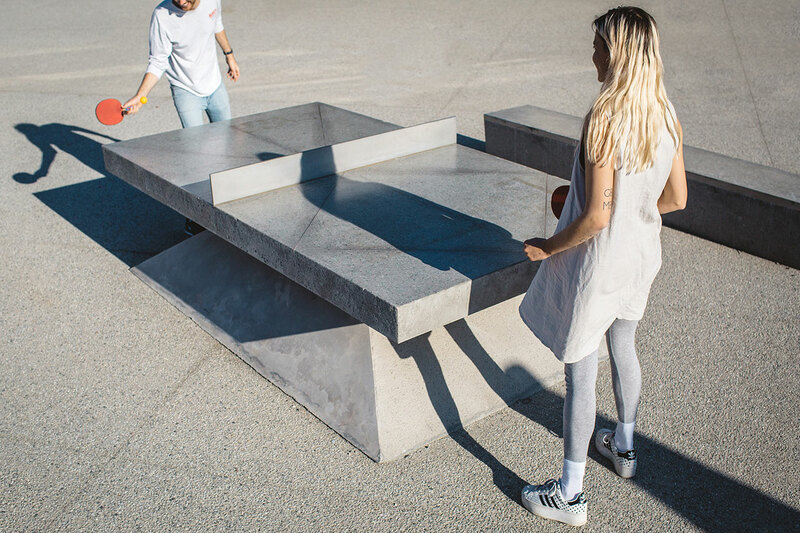 For a solid session of ping-pong, head to Monash University Museum of Art (MUMA) in Melbourne, where artist Laith McGregor and architect Murray Barker have installed these concrete ping-pong tables and benches. 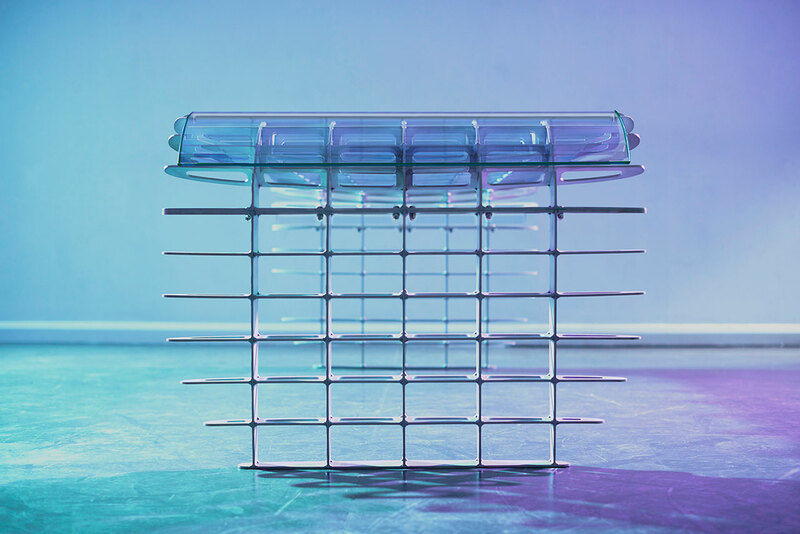 Part of a series of three different table designs, these neo-Brutalist beauties are decorated with copper inlays and their “nets” are made of bead-blasted steel. Rumours of a matching set of concrete balls and rackets are yet to be confirmed. 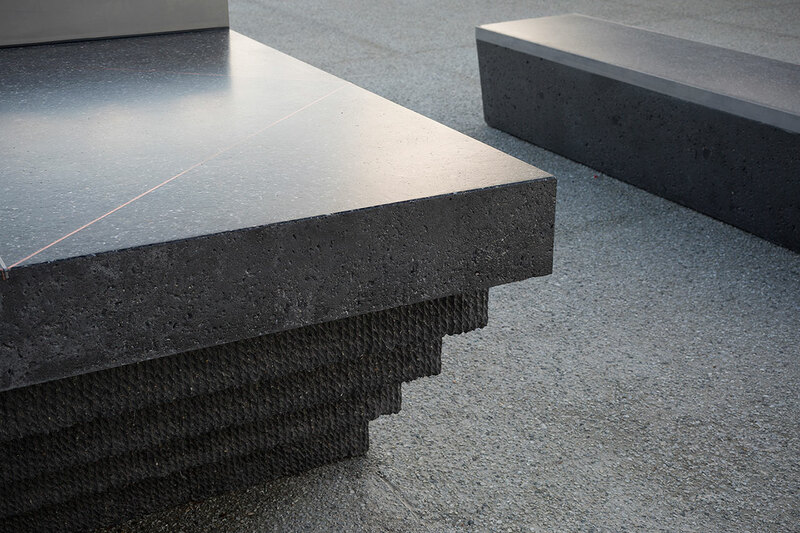 Laith McGregor / Murray Barker, MONOLITHS, photo by Abigail Varney. For neon light lovers, Seletti makes it easy to compose your own illuminated words and phrases with these stand-alone letter lamps. 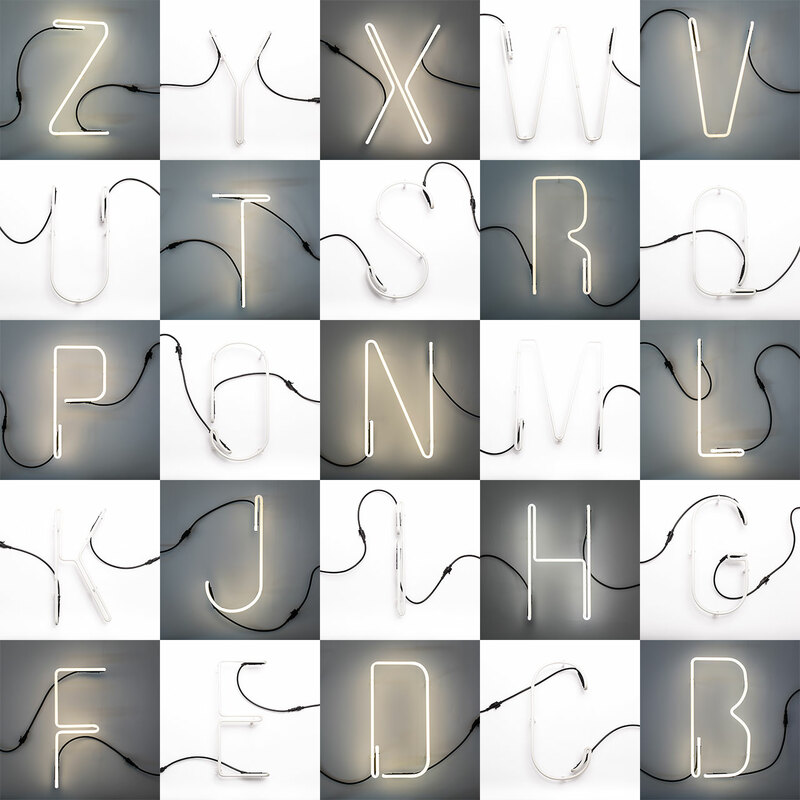 Just choose your letters, plug them into each other and brighten up your space with your favourite motto. The letters themselves are 30 cms in height while their modular design allows you to write words of any length. Seletti, Alphafont, design by BBMDS. Photo © Seletti. Like a speedy spinning top, these wooden lamps by Lebanese design studio boabboob were inspired by the ritual dance of Sema (also known as the whirling dance) which is performed by Sufi dancers. The four different designs are meant to represent the four stages of this ritual. 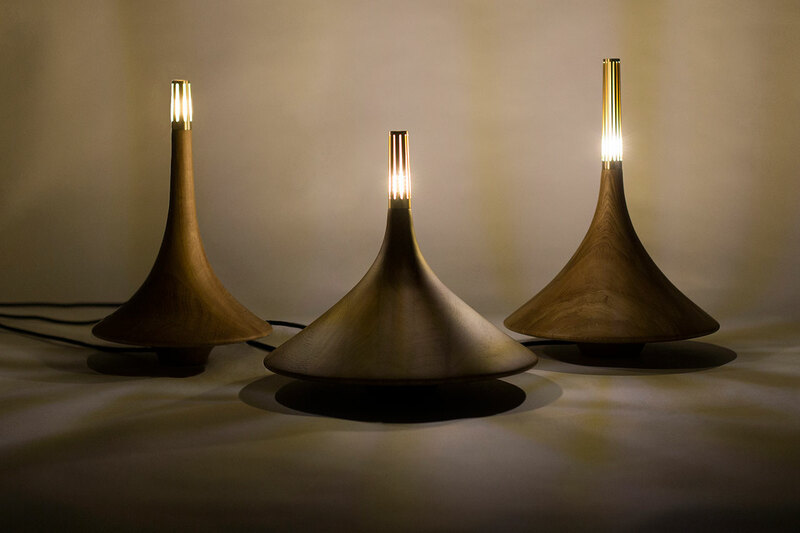 Dervish Lamp by Booabbood for Squad Design. Photo by Squad design. 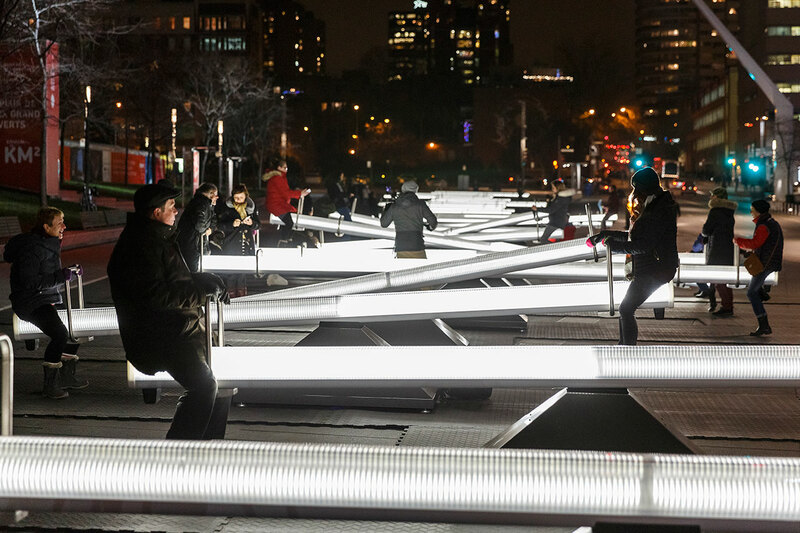 Fifteen illuminated and sound-producing seesaws comprise the Impulsion installation by Lateral Office and CS Design. The work debuted during Quebec’s Luminothérapie festival last year, and will travel to Switzerland for LAC - Lugano Arte e Cultura festival, from December 1, 2016, to January 8, 2017. 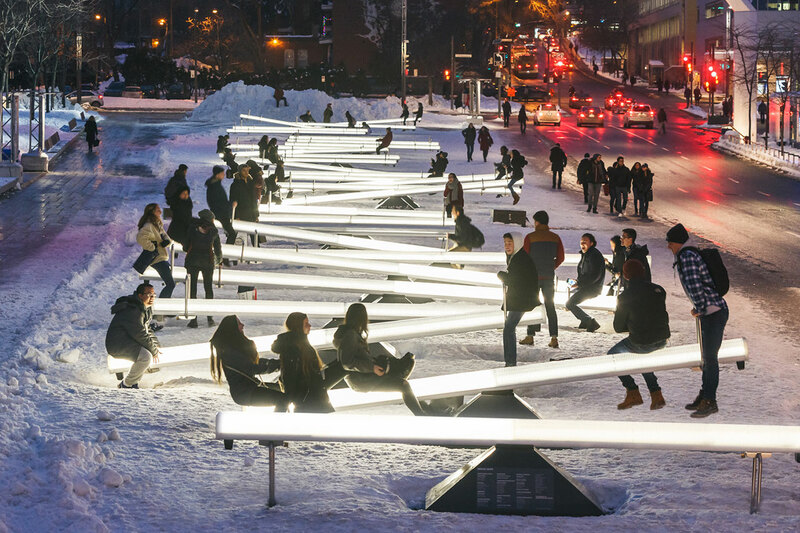 Impulse, Luminothérapie by Lateral Office, Place des Arts, Montreal, QC, 2016. Photo by Ulysse Lemerise / OSA. 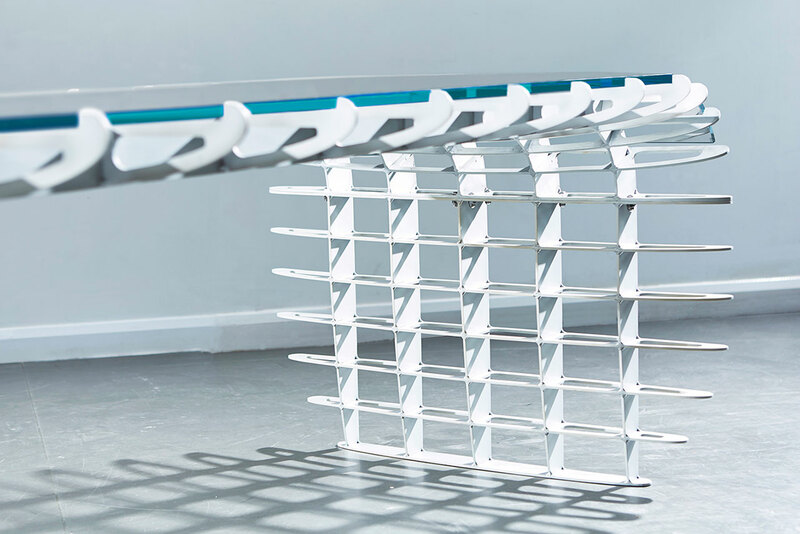 Inspired by the legendary Supermarine Spitfire fighter plane, this brushed aluminium desk by Duffy London brings the ingenuity and fluid geometry of aircraft design indoors. Much loved by its pilots, the Spitfire was widely produced by Britain from the early 1930s to 1950, and is famous for its elliptical wings -an element that Duffy London’s desk subtly incorporates. 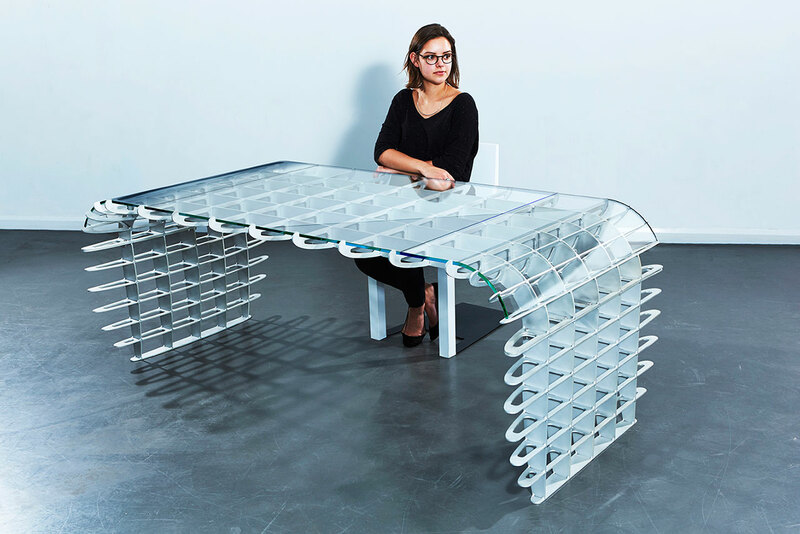 Spitfire Desk by Duffy London. Photo by Duffy London.